A Drama Unfolding as the Force Awakens…………. A long time ago, in a galaxy far far away there was a planet by the name of Pendora. As part of the transformation program, the Emperor of the planet Pendora decided in a typical “ Pendora Boleh” style to invite a well renowned academy from planet Uncle Samy to start an academy in Pendora. The academy supposes to train young padawans to become Jedis. These young padawans are enthusiastic lots who had always wanted to become a Jedi. The force, while is strong in them could not support their stint in another planet due to logistics and financial reasons. The academy started with grand celebration as it suppose to send fears among the neighbouring planets which includes planet Tatooin, Dagobah as well as the grand empire of Capitol. The academy was promised a lot of goodies to establish themselves, including generous contribution from the Pendora’s government. A Jedi council was appointed to oversee the program, which was introduced for the first time in Pendora. The young padawans are trained for free. 3 years passed and Pendora started to get intertwined in a big controversy involving a mega scandal. Promises that was made to Uncle Samy’s partner was not fulfilled. Uncle Samy’s partner decides to leave the academy. The academy was caught off guard and decided to bring another Jedi trainer from another part of the same planet Uncle Samy. While Pendora’s future remains hanging, the young padawans were promised a smooth transition to become a Jedi. The Jedi council kept a close watch as not to compromise the training. The Force and the power of the Dark side need to be kept at bay. One year after the controversy erupted, the first batch of Jedi apprentices graduated. Unfortunately, the academy faced another obstacle. The Jedi council decided not to recognise/accreditate the academy’s training. The Jedi council wary of the influence of the dark side. The council felt that the academy did not fulfil the requirement to train the young padawans, to prevent them from being influenced by the Dark side. By this time, the force has awaken. The dark side of the force has started to influence the world of Jedis. Pendora’s academy was not the only one that has been producing Jedis’. Many more similar academies from various planets were producing the same. The Jedi’s, which were once considered the crème of the society, are now degraded to unemployable status. The protectors and peacekeepers of the galaxy are now jobless. The Jedi council took it for granted as the dark force died 30 years ago. Little did they expect such a situation. The young graduated Jedis are now being asked to sit for the Jedi Council’s special exams to test their knowledge and mental strength. 6 months has passed with no answer ! Will the unemployed Jedi’s become the next Dark side of the force? Master Yoda’s quote that still lingers in the minds of the Jedi Council. Will the fear of un-employability of the young Jedis, turn to anger and eventually to the dark side? The government recently had slashed the 2015 budget by at least RM 5.5b, mainly operational budget. I am not sure whether it will affect civil servant promotions for this year as promotions involves a lot of money. Generally, during any economic recession, promotions will be postponed. If the oil prices do not increase or the ringgit falls further, we may be in for a roller coaster ride this year. FYI, Petronas contributes at least a third of our government’s revenue! The government has also started to charge maximum full rate for any foreigners seeking treatment in government hospitals/clinics. This is also to generate more income for the government as they become desperate for money. In my previous blog post, I mentioned that the waiting period for Housemanship stands at about 6 months as of end of last year. The waiting time is expected to get longer this year as more and more medical schools starts to produce their graduates. However, from March 2015(hopefully), MOH will be introducing what is known as e-Houseman! NO, IT IS NOT Housemen working from HOME for heaven’s sake but a way to shorten the waiting period (see below). MOH will be introducing an on-line housemanship placement portal for newly graduated doctors. Fresh graduates will first need to apply for Temporary Registration with MMC after which they need to apply to SPA/JPA. Once you are accepted into civil service, you will be given a password and user ID to log into ” e-Housemen”. This portal will list all the available post in various hospitals and the vacancies. The waiting period will also be mentioned. It will be available online twice a month. Thus, it is entirely up to you on where you want to do your housemanship. You decide based on vacancies and waiting period. If you decide to choose the popular hospitals aka Klang Valley, the waiting period will be even longer. It will subsequently affect your seniority in civil service. I hope this system will work flawlessly but as usual, I am a bit skeptical about it. How the system works will depend on how fast the system is updated by the respective hospitals/MOH. Human and system errors can occur. ON another note, this will eventually overcome the maldistribution issues between rural and urban hospitals as well as East and West Malaysia. If you want a job early, go where the vacancy is. Similar situation will occur when the MO post becomes full. As I said many years ago, as the situation becomes tight, maldistribution will be solved. Happy Thaipusam and Chinese New Year …………………. Kementerian Kesihatan Malaysia (KKM) hari ini melancarkan sistem penempatan graduan perubatan yang dikenali sebagai e-houseman, bagi memperbaiki sistem sedia ada. 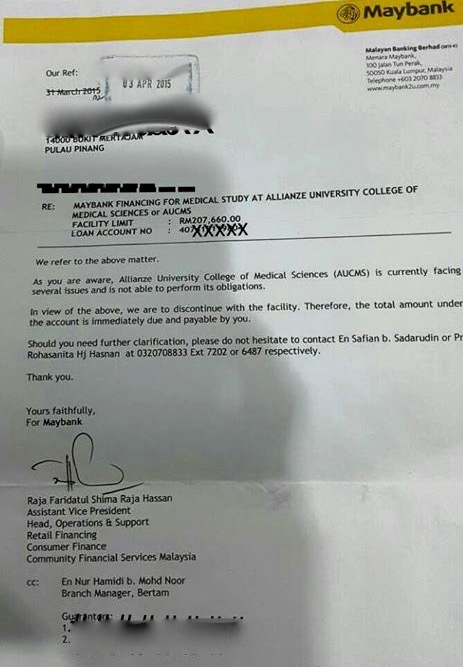 Menterinya, Datuk Seri Dr S. Subramaniam berkata, sistem itu yang akan mula beroperasi pada 15 Mac 2015, memberi peluang kepada graduan perubatan untuk memilih hospital pilihan mereka. “Kami mengenal pasti kelemahan dalam sistem penempatan graduan perubatan sebelum ini dan melihat sistem baru yang diperkenalkan ini lebih telus dan mudah. “Ini sekaligus mengikis persepsi orang ramai terhadap kementerian yang kononnya memilih kakitangan dalam proses penempatan,” katanya selepas merasmikan Persidangan Pengurusan KKM di Hotel Royal Chulan, hari ini. 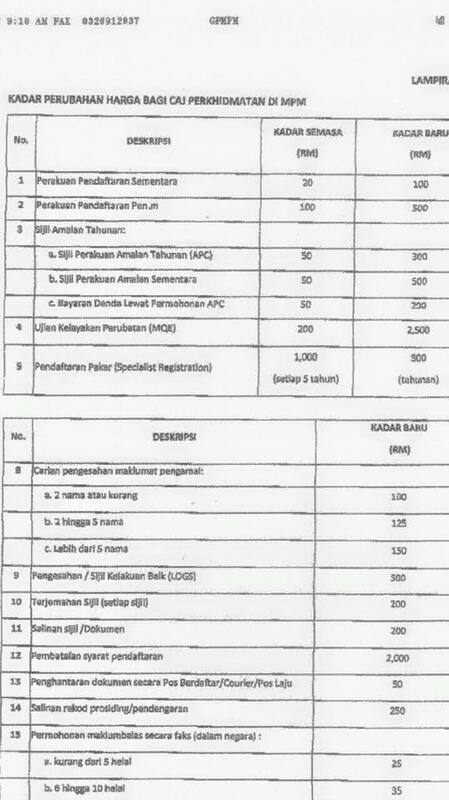 Beliau berkata, graduan perubatan yang berdaftar dengan Suruhanjaya Perkhidmatan Awam (SPA) dan mendapat sijil pendaftaran sementara daripada Majlis Perubatan Malaysia (MMC), layak menggunakan sistem ini dan proses seterusnya dilaksanakan serta diluluskan KKM. Tambahnya, proses ini hanya memakan masa 10 minit, jika graduan sudah memilih penempatan mereka dan bersetuju dengan syarat ditetapkan. Katanya lagi, sebelum ini proses penempatan memakan masa lama dan kerjasama dengan SPA serta MMC dapat mempermudahkan semua urusan. “Sebelum ini, KKM akan memilih penempatan untuk graduan dan kini mereka boleh memilih sendiri, sekiranya ada kekosongan. Permohonan itu akan dibuka dua kali sebulan dan prosesnya adalah mudah,” katanya. Dalam perkembangan lain, Subramaniam berkata, persidangan bertemakan ‘Towards a seamless organisations’ bertepatan usaha mentransformasikan sektor kesihatan, bagi memberi perkhidmatan lebih cekap dan berkesan. Seramai 229 peserta menyertai persidangan itu, bagi menambah pengetahuan dalam aspek pengurusan menyeluruh, untuk mendokong visi dan misi KKM, selaras peranannya sebagai peneraju perkhidmatan kesihatan negara. KUALA LUMPUR: The Health Ministry yesterday launched the cutting edge ‘e-Housemen’ system for emplacement of medical graduates during their housemanship. Its minister Datuk Seri Dr S. Subramaniam saw the new system would expedite processing of housemanship applications from one month currently to just 10 minutes. “Before this system, medical graduates had to register with the Malaysian Medical Council (MMC), Public Services Commission (PSC) and the Health Ministry. Now they just have to register with MMC only. “After registration with MMC, they will be given a temporary registration certificate following which they can use the ‘e-Housemen’ system that will be operational from March 15,” he told a press conference after opening Health Ministry’s Administrative Conference and Innovation Night 2014 here yesterday. Elaborating on the system, Dr Subramaniam said medical graduates could choose which hospital they wanted to do their internship and if there were no vacancies, they could defer it until that particular hospital had an opening. He added that system would also put an end to perceptions that the housemanship system was bogged with bureacracy and favouritism. The Louvre Museum has 8.5 million visitors per year. This blog was viewed about 670,000 times in 2014. If it were an exhibit at the Louvre Museum, it would take about 29 days for that many people to see it. And so, the World Cup 2014 ends………………. It has been 3 weeks since I last posted an article in my blog. I am sure you know why! I started watching World Cup since 1982 when I was still in primary school. I had never missed any of the World Cups since then. As the greatest show on earth, it proves to be one of the most exciting sporting event that everyone waits for, every 4 years. I watched the Final of World Cup 2010 between Spain and Holland in Hong Kong as I was attending a Rheumatology conference then. By co-incidence, I watched the opening match of World Cup 2014 between Brazil and Croatia also in Hong Kong, as I was having a family vacation. Of all the World Cup that I watched over the last 32 years, I must say that this years’ World Cup is the best I have seen. It was a World Cup filled with goals, excitement, upsets and unexpected underdogs. Top European countries like Italy, Portugal, England and Spain crashing out of the tournament in group stage where as underdogs like Costa Rica, Algeria, Columbia , Mexico showing flowing football that brought most of them to Round of 16 and Quarterfinals. Who would have thought that Holland will whack Spain by 5-1 in one of the earliest of the group matches. Who would have thought that Brazil, the country where football is second to religion will be trashed 7-1 by Germany and 3-0 by Holland? It was a spectacular show with tactical football taking over the stage. Individual skills come second. Brazil should start playing like a team rather than depending on individual skills. Those eras are gone! I am glad that I was in front of the TV when Germany trashed Brazil 7-1 in one of the tournaments biggest upset in history! It was the most humiliating defeat by Brazil, furthermore in their home ground. Germany has always been the most consistent team in World Cup since 1970s. They work as a team with superb energy and spirit. They deserve to win this World Cup 2014. Along the way they broke numerous World Cup records such as all time top scorer, the country with most number of goals in world cup, the highest score line in a semifinal, the biggest thrashing of a home country, the first country to reach 4 consecutive semifinals , the first european country to win in a south american soil etc etc. I could not update my blog over the last 3 weeks as I was having sleepless nights while working everyday. Age is catching up and I am not as “fit” as I use to be. Watching the game early mornings is becoming a torture. BUT I will continue to watch these World Cups till I am 6 ft underground! Good bye World Cup 2014 and I will wait for Russia in 2018………………….